18W x 13.25H x 6.75L in. 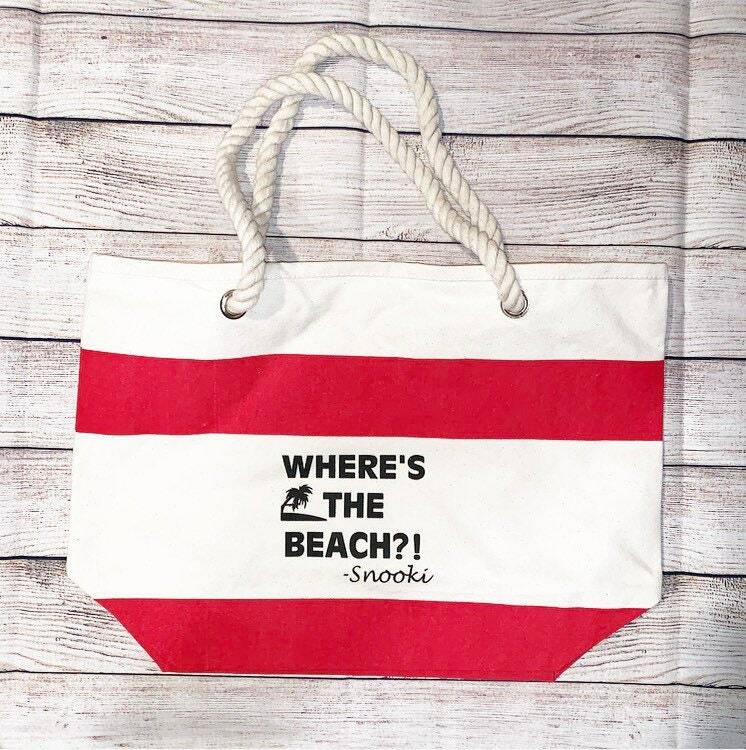 Whether you're hitting the beach or running errands around town, these nautical themed Leed's® Capri Stripes Cotton Snooki shopper tote bags are perfect arm candies! These tote bags come with an open main compartment, soft cotton rope handles with a 10-inch drop height, and a graphic silk screen print that makes them stand out! These shopper tote bags are also made from top-quality cotton canvas that's guaranteed to last! *HAND WASH ONLY* To preserve decal. 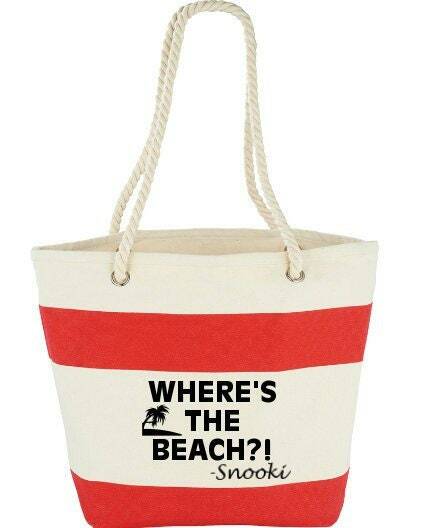 Love it me and my daughter love Jersey Shore and this was perfect for her for valentines Day !